For Valentine’s Day, Rob surprised me with a new lens for the camera. Anxious to try out my new zoom/macro, we went down to the river on a sunny evening. There were two geese hanging out together on the edge of the ice. Normally if I were to get close enough to take their picture, they would turn and walk or swim away, leaving me with a nice view of their back ends. 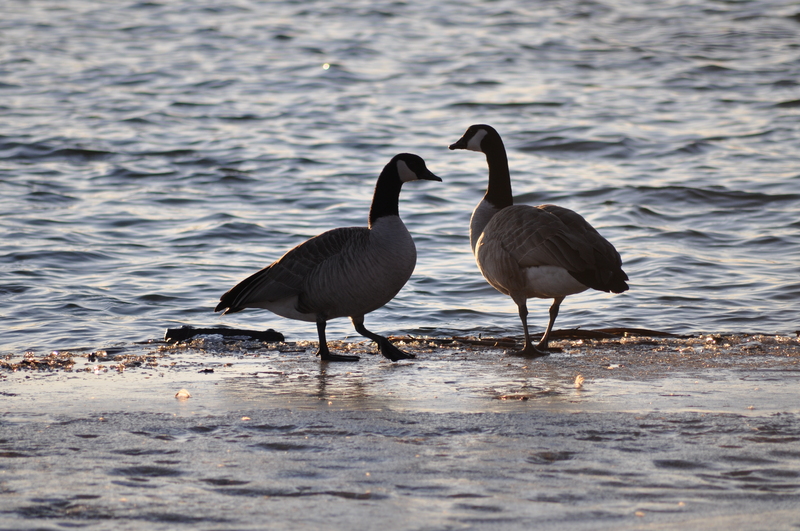 But with my new lens, I was able to sit back on the grass and take pictures without bothering the geese. They reminded me of an old married couple, sitting on their porch, enjoying the sunset together. 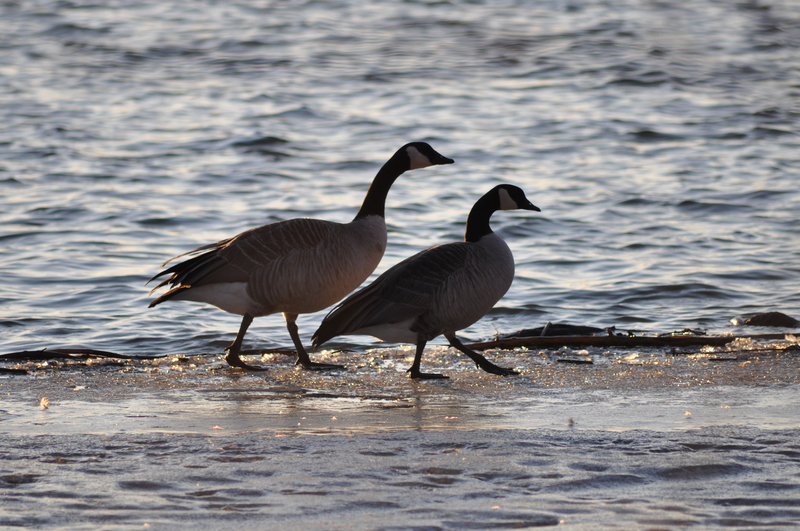 This entry was posted in My 52 and tagged geese, My 52, sunset, zoom lens. Bookmark the permalink. What a wonderful hub you have! Great pictures! Nice gift! I have a feeling it will get a lot of use!